Imran Awan’s Expanding Axis Of Intrigue . . .
. . . Iran-backed Hezbollah laundered money through Awan family used-car lot. by Lloyd Billingsley: IT man Imran Awan has a problem with women but Democrats have failed to place the Pakistani-born Muslim on their honor roll of abusers with Al Franken and John Conyers. When Awan attempted to flee the country in July, the feds busted him on bank fraud charges. Andrew McCarthy warned it was more likely a serious national security case, and it turns out he was right. As the intrepid Luke Rosiak notes in the Daily Caller, Imran’s brother Abid ran a used-car lot in Falls Church, Virginia, called Cars International A. Trouble was, the “CIA” dealership had no inventory and the sales people were fakes. As Rosiak learned, the Awan dealership “took money from a Hezbollah-linked fugitive” whose financial books were “indecipherable.” And as the DEA was aware, “the Iranian-linked terrorist group frequently deployed used car dealerships in the US to launder money and fund terrorism.” On the other hand, the DEA had trouble going after the terrorists. A key player in the obstruction was John Brennan, the presidential advisor who touted “moderate elements” in Hezbollah and became POTUS 44’s CIA director despite having voted for the Stalinist Gus Hall, Communist Party USA presidential candidate, in 1976. Another official of more than passing interest is Bruce Ohr, the associate deputy attorney general who directed the Organized Crime Drug Enforcement Task Forces (OCDETF), reportedly the keystone of the AG’s drug strategy. Ohr has been making news for meeting with British spy Christopher Steele, author of the “dossier” on Donald Trump. That was during the 2016 campaign and after the election Ohr met with Glenn Simpson, founder of Fusion GPS, which hired Steele and brought aboard Ohr’s Russophile wife Nellie. Even before the fall of the USSR, Nellie enjoyed considerable access, from Moscow to Smolensk, and also showed expertise in cyber-security matters. Congress may investigate what role Bruce Ohr may have played in quashing the operation against Hezbollah drug dealing. With the connection to the fake Virginia car lot, Hezbollah becomes part of Imran Awan’s ever-expanding axis of intrigue. A number of prominent Democrats, including Debbie Wasserman Schultz, hired Imran Awan and members of his family to perform IT work, but there’s no public proof that any of the Awans were vetted by Capitol Police. Awan and his family of grifters could not possibly have qualified for a security clearance but Imran Awan enjoyed access to the computers of 45 members of Congress, including members the House Intelligence and Foreign Affairs committees. Awan made thousands of unauthorized accesses to government networks and for several months every year conducted his work from Pakistan. Awan also accessed a server controlled by Rep. Xavier Becerra, once on Hillary Clinton’s short list as a running mate and now attorney general of California. When the Capitol police sought to obtain the data, Awan served up a fake image of the server. Awan was then banned from the congressional computer system but Debbie Wasserman Schultz duly kept the IT man on her payroll for more than six months. Awan was working for DWS while she headed the DNC, and when she lost the post after DNC emails were leaked or hacked. Awan doubtless has the goods on Wasserman Schultz, which may be why she remains uncritical of the IT man. She blames his troubles on Islamophobia, what Awan’s attorney Chris Gown, a former Clinton aide, calls “working while Muslim.” After it emerged that “multiple women” had called police to report abuse by Imran Awan, including the threat of kidnapping, only two of 17 Democrat women who employed him opted to speak out. At this writing, Awan has only been indicted for bank fraud, though by the day it becomes more apparent that the case involves national security. Observers might wonder why Congress and Jeff Sessions’ DOJ have been slow to take action, especially with so much at stake. With all the IT men in all the IT firms in all the world, there was no reason to hire Imran Awan or any member of his family. Like terrorists Sayfullo Saipov and Akayed Ullah, Imran Awan came to the United States through a lottery system, so there’s no good reason he should have been in the country in the first place. As investigators might discover, lottery immigration and chain migration have serious consequences. Lloyd Billingsley is an author at the David Horowitz Freedom Center's FronPage Mag and author of Bill of Writes: Dispatches from the Political Correctness Battlefield and Hollywood Party: Stalinist Adventures in the American Film Industry. 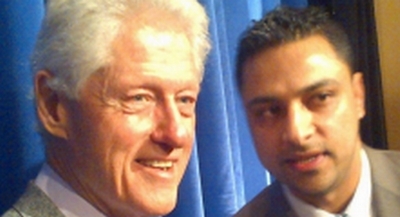 Tags: Imran Awan, Expanding Axis Of Intrigue, Iran-backed Hezbollah, laundered money, through Awan family, used-car lot, Lloyd Billingsley, FrontPage Mag To share or post to your site, click on "Post Link". Please mention / link to the ARRA News Service and "Like" Facebook Page - Thanks! Tags: Draining, Regulatory Swamp To share or post to your site, click on "Post Link". Please mention / link to the ARRA News Service and "Like" Facebook Page - Thanks! by Newt Gingrich: The excitement over passing the Tax Cuts and Jobs Act overshadowed the extraordinary National Security Strategy report released on Monday. Just as the first comprehensive tax cut bill in 31 years marked a milestone in resetting national economic strategy, the National Security Strategy report is a milestone in resetting America’s approach to national security and foreign policy. The December 18 speech by President Trump highlighting the National Security Strategy was the culmination of eight months of hard work by National Security Advisor H. R. McMaster, Deputy National Security Advisor for Strategy Dina Powell, and Deputy Assistant to the President Dr. Nadia Schadlow. This strategy paper is especially necessary because President Trump campaigned on, and is now executing, a revolution in how America interacts with the world. 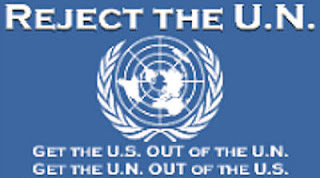 The elite consensus since 1990 has been that the United States is helping develop a New World Order. This new world order was to come from lawyers and diplomats engaging in endless multilateral conferences and reaching agreements that limited sovereignty and had nations reporting and answering to the international bureaucracy. It was a dream world for elitist academics who saw themselves as the all-knowing international bureaucrats, whose careers would be spent “taming” sovereignty with the higher moral order of globalism. 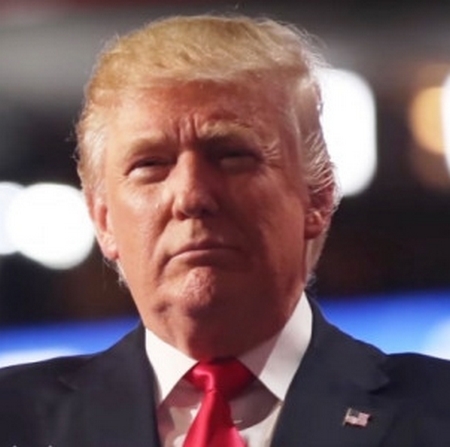 Candidate Trump won the Republican nomination over 16 other candidates by understanding and giving voice to a growing consensus that globalism subordinated America to foreign bureaucrats, that multilateral trade deals hurt America, and that other countries were using American lives and American money to achieve their own goals. The bipartisan elites in foreign policy and national security were appalled and enraged that some billionaire businessman would have the audacity to challenge their 26-year consensus. They were shocked to watch him actually implement his commitment to refocusing national security and foreign policy around American interests. 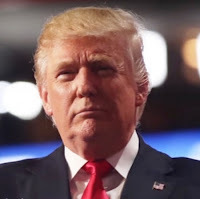 Where the bipartisan elites had wanted to put globalism first and make the American economy and the values and interests of the American people secondary to this larger multinational system, President Trump began transforming his campaign rhetoric into official government policy. If you had said in December 2015 that in two years we would be in the early stages of a revolution in national security and foreign policy, the elites would have thought you were completely out of touch with reality. The new president pulled out of the Trans-Pacific Partnership (TPP) negotiation on trade. While having dinner with President Xi Jinping of China, President Trump excused himself to announce an airstrike on Syria by 59 Tomahawk cruise missiles in response to Syria using chemical weapons. (Contrast this decisive action with Obama’s supposed red line in Syria, which carried no action or consequences when the line was crossed). The President pulled out of the Paris Agreement, arguing it undermines American jobs. President Trump refused to certify that Iran was keeping its side of the nuclear arms agreement. Unlike his two predecessors, who had campaigned in favor of Jerusalem as the capital of Israel but then broke their word and refused to move the embassy, President Trump kept his word, despite overwhelming global pressure against him. President Trump has dramatically increased the pressure on North Korea and is clearly preparing military options, if needed. Even this week, the President instructed the Secretary of Defense and Secretary of the Interior to develop a strategy to break the Chinese and Russian efforts to control rare minerals that are needed for modern technology. President Trump’s much more assertive presidency is having an impact. The Chinese have greatly increased their pressure on North Korea. Leaders from more than 50 Arab and Muslim nations came to Riyadh, Saudi Arabia for the Arab Islamic American Summit to create a counterterrorism center and ally with the United States. Because the Saudi Arabians trust President Trump (while having deeply distrusted President Obama for eight years), the Crown Prince has launched a revolutionary effort to modernize and open Saudi society. President Trump’s reliance on Secretary Mattis and the professional military has led to the destruction of ISIS as a territorial power, at a remarkably low cost to America. This has been almost completely ignored by the elite media. After complaining and grumbling, the members of the North Atlantic Treaty Organization (NATO) have begun to increase their financial commitment to defense (something which Presidents George W. Bush and Barack Obama were unable to achieve). Beyond immediate actions, it is clear the Trump Administration is going to make economic growth and technological development key parts of its approach to national security. The efforts to develop maximum American energy resources also has a national security component. The opening of Alaskan oil resources this week fits perfectly with the National Security Strategy report. The new commitment to American leadership in space is another significant part of that National Security Strategy. President Trump has consistently articulated the shift away from globalism in favor of American interests during his campaign. He did this in his inaugural address, in his speeches in Warsaw and at the United Nations – and this week at the Ronald Reagan Building and International Trade Center. The National Security Strategy report puts the President’s actions into a larger context of planned change from the recent past. Tags: Newt Gingrich, commentary, President Trump, Revolution, National Security, Foreign Policy, To share or post to your site, click on "Post Link". Please mention / link to the ARRA News Service and "Like" Facebook Page - Thanks! by Tom Knighton: One of the recurring themes here at Bearing Arms is that gun laws don’t work. It’s a recurring theme because, well…they don’t. Time and time again, we see that they fail to stop criminals from hurting the innocent. The Supreme Court ruled in favor of Haynes in a 7-1 decision. This decision blocks state prosecutions of criminals who fail to register guns as required by state law gun registration schemes. Law abiding citizens must comply with the schemes and pay the associated fees.I hadn’t thought of that until I read this late yesterday, but they’re right. You can’t be required to incriminate yourself, and gun registration schemes would do just that for convicted felons. Tom Knighton is a Navy veteran, a former newspaperman, a novelist, and a blogger at Bearing Arms. He lives with his family in Southwest Georgia and contributes to PJ Media. Tags: Tom Knighton, Bearing Arms, why gun registration, doesn't impact, criminals To share or post to your site, click on "Post Link". Please mention / link to the ARRA News Service and "Like" Facebook Page - Thanks! 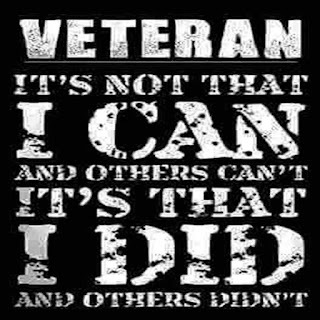 Tags: Real Reform, For American Veterans To share or post to your site, click on "Post Link". Please mention / link to the ARRA News Service and "Like" Facebook Page - Thanks! by Printus LeBlanc: In a year full of achievements for President Trump, his push for enforcement of existing immigration laws and little-noticed victories at the Department of Justice have stood out. 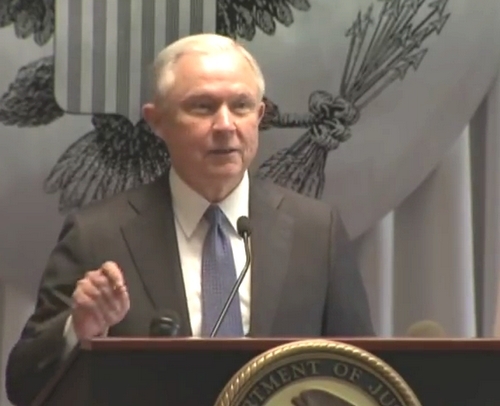 The Trump DOJ, led by Attorney General Jeff Sessions, has taken a hard line against MS-13. The Salvadoran gang is a ruthless organization that has spread its tentacles across the nation. Many consider it is the most violent gang operating in the U.S. Under the previous administration they seemed to act with impunity because President Obama was sympathetic to the illegal immigrant community. MS-13 was allowed to bloom and spread their murderous trade under the Obama administration; President Trump is fighting back. Many of the gang members hid in sanctuary cities. These are cities that refused to cooperate with federal officials and ignored ICE detainer requests for illegal immigrants. After being arrested for a crime, an illegal immigrant would be allowed back onto the street without facing deportation, even if they were a member of a criminal gang. President Trump decided to act. The DOJ announced it would withhold funding for certain law enforcement programs from sanctuary jurisdictions. The jurisdictions depend on DOJ funding, and if they are found to not comply with the conditions of the grants, the grants will be rescinded. Local politicians that put criminal illegal aliens above law abiding citizens should not be rewarded with federal funding for violating the law. One of the most important actions taken by the Trump DOJ was to end the practice of third-party payouts. The previous administration allowed companies to pay these groups instead of victims of crimes. When the Obama DOJ levied fines against most major banks, following the financial crisis, a clause was inserted into the fines that allowed money going towards third parties to count as double towards the fine. Of course, these third parties just happened to be politically aligned with President Obama and Attorney General Eric Holder. This was seen as a slush fund for political allies, and the Trump DOJ put a stop to it. Under the Obama administration, the number of narcotic-related deaths skyrocketed. Since 2009, the number of drug-related deaths in the U.S. has risen by more than 50 percent, to more than 64,000 in 2016. Much of this is due to the opioid epidemic currently sweeping the nation. The previous administration was not big on securing the border to stop the tons of narcotics from flowing onto U.S. streets. The Trump administration has taken the exact opposite approach. Trump has beefed up border security and asked for thousands more Border Patrol agents to be hired. Prototypes for a southern border wall have also been built, and there is funding in the budget to begin construction of the wall. Trump knows most of the drugs are getting into the country through the southern border. The President also declared the opioid epidemic a “Public Health Emergency.” This will allow the federal government to waive some regulations and give states more flexibility in how they use federal funds to fight the epidemic. Over 250,000 people died of drug overdoses in the last administration, and it seemed like no action was taken, with the exception of leaving the border unguarded and letting Hezbollah operate a massive narcoterrorism in the U.S. The left often uses victims as props in their quest to destroy the 2nd Amendment. The left complains getting a gun is entirely too easy in the U.S. President Obama was famous for this, but a closer look at his record of prosecuting gun crimes shows something shameful. President Obama rarely prosecuted gun crimes. A 2016 Inspector General’s report, showed the Obama DOJ prosecuted less than 32 people per year for lying on federal forms to purchase a firearm. 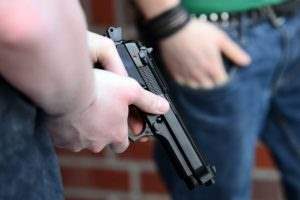 This happened despite the fact over 100,000 convicted felons or other prohibited persons tried to buy guns each year. For a group that supposedly cares so much about gun crimes, why didn’t the Obama administration prosecute them? President Obama weaponized government against his opponents, and that included the IRS. The IRS was caught red-handed targeting groups based on their political beliefs. Lois Lerner inappropriate actions by the IRS on a press call. This began a saga of destroyed evidence, refusals to testify, and denials by government officials. It was starting to look like justice would never be served. The DOJ and the immigration system were by far the institutions damaged the most by the Obama administration. They flooded with country with illegal immigrants with hopes of turning them into voter following amnesty, they used the DOJ as a weapon to raise funds for political allies, and they targeted their opponents with governmental power. AG Sessions and President Trump have a long way to go to make the DOJ respectable again, but the actions this year, are helping to restore some of the lost confidence. Printus LeBlanc, Justice Department Successes To share or post to your site, click on "Post Link". Please mention / link to the ARRA News Service and "Like" Facebook Page - Thanks!
. . . Pelosi and Schumer want you to believe keeping more of what you earn is somehow bad for you. 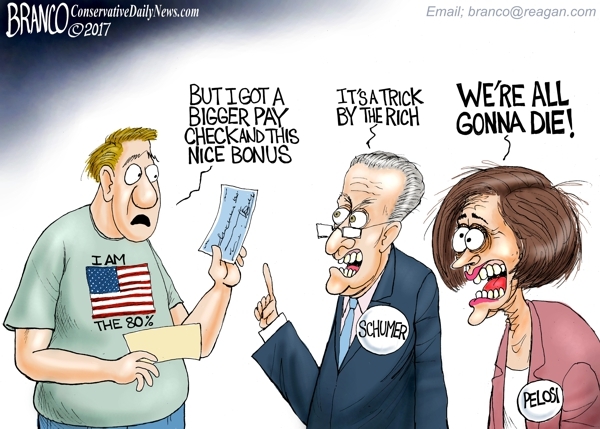 Tags: editorial cartoon, AF Branco, Show Me The Money, Pelosi, Schumer, want you to believe, keeping more, what you earn, bad for you. To share or post to your site, click on "Post Link". Please mention / link to the ARRA News Service and "Like" Facebook Page - Thanks! by Dr. Walter E. Williams: Before the question, how about a few statistics? The 20th century was mankind’s most brutal century. Roughly 16 million people lost their lives during World War I; about 60 million died during World War II. 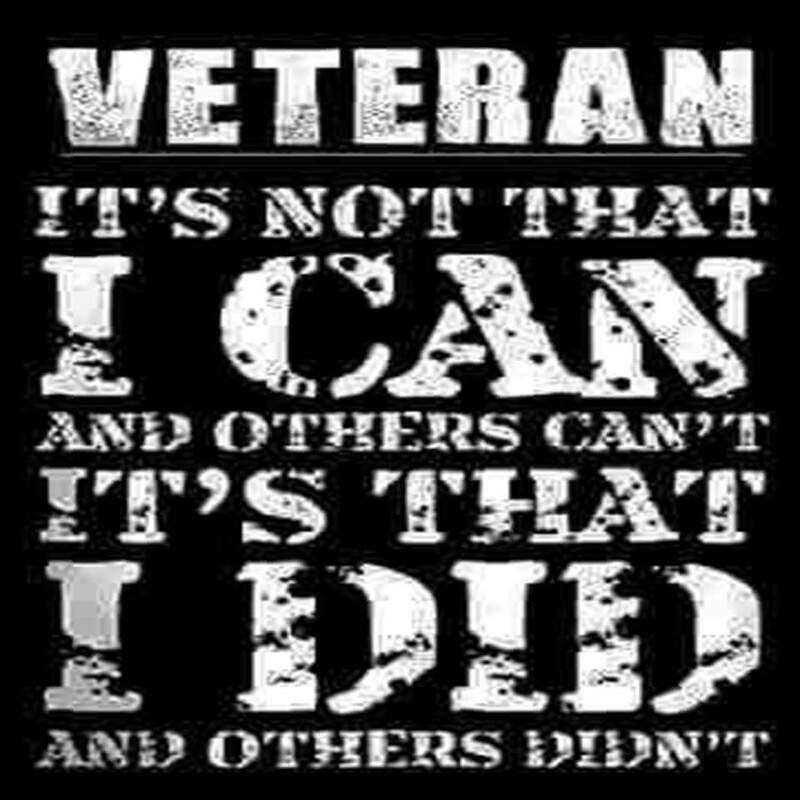 Wars during the 20th century cost an estimated 71 million to 116 million lives (http://tinyurl.com/ya62mrqa). The People’s Republic of China tops the list, with 76 million lives lost at the hands of the government from 1949 to 1987. The Soviet Union follows, with 62 million lives lost from 1917 to 1987. Adolf Hitler’s Nazi German government killed 21 million people between 1933 and 1945. Then there are lesser murdering regimes, such as Nationalist China, Japan, Turkey, Vietnam and Mexico. According to Rummel’s research, the 20th century saw 262 million people’s lives lost at the hands of their own governments. Hitler’s atrocities are widely recognized, publicized and condemned. World War II’s conquering nations’ condemnation included denazification and bringing Holocaust perpetrators to trial and punishing them through lengthy sentences and execution. Similar measures were taken to punish Japan’s murderers. Recall the campus demonstrations of the 1960s, in which campus radicals, often accompanied by their professors, marched around singing the praises of Mao and waving Mao’s Little Red Book. That may explain some of the campus mess today. Some of those campus radicals are now tenured professors and administrators at today’s universities and colleges and K-12 schoolteachers and principals indoctrinating our youth. Now the question: Why are leftists soft on communism? The reason leftists give communists, the world’s most horrible murderers, a pass is that they sympathize with the chief goal of communism: restricting personal liberty. 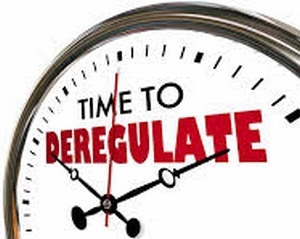 In the U.S., the call is for government control over our lives through regulations and taxation. Unfortunately, it matters little whether the Democrats or Republicans have the political power. The march toward greater government control is unabated. It just happens at a quicker pace with Democrats in charge. 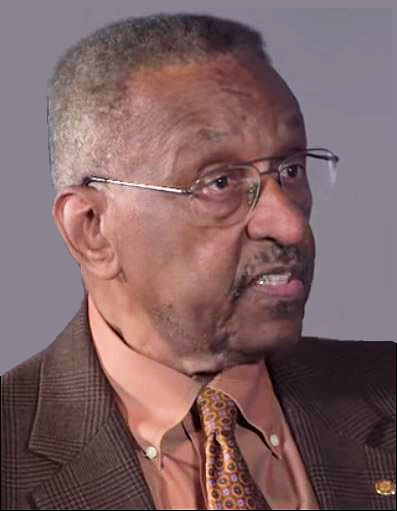 Walter Williams is an American economist, social commentator, and author of over 150 publications. He has a Ph.D. and M.A. in Economics from the UCLA and B.A. in economics from California State University. He also holds a Doctor of Humane Letters from Virginia Union University and Grove City College, Doctor of Laws from Washington and Jefferson College. He has served on the faculty of George Mason University in Fairfax, Virginia, as John M. Olin Distinguished Professor of Economics, since 1980. Visit his website: walterewilliams.com and view a list of other articles and works. Tags: Walter Williams, commentary, Fascism, Communism, To share or post to your site, click on "Post Link". Please mention / link to the ARRA News Service and "Like" Facebook Page - Thanks! by Patrick Buchanan: President Trump, every Republican senator, and the GOP majority in Speaker Paul Ryan’s House just put the future of their party on the line. Democrats, as the Party of Government, egalitarian and neo-socialist, have come to see their role as redistributing wealth from those who have too much — to those who have too little. For, as men (and women) are born unequal in ambition, ability, talent, energy, personality and drive, free markets must inevitably produce an inequality of results. On their legislative agenda, Republicans broke out of a slump. Though they got not a single Democratic vote in either chamber, they showed they can govern alone. On the lead item on the GOP-Trump agenda — taxes — they delivered. They shifted policy dramatically toward Republican philosophy. They wagered their future on their convictions. And the splenetic rage among Democrat elites suggests that they know they have suffered a defeat difficult to reverse. In blue states like Oregon, Minnesota, New Jersey, Vermont, Hawaii, the top state income tax rate is 8 to 10 percent. In Jerry Brown’s California and Andrew Cuomo’s New York, it hits 13 percent — before adding property taxes on homes and condos in Manhattan and second homes out on Long Island. 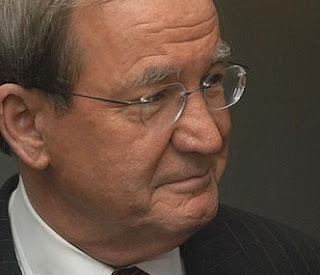 Tags: Patrick Buchanan, conservative, commentary, Republicans Bet the Farm To share or post to your site, click on "Post Link". Please mention / link to the ARRA News Service and "Like" Facebook Page - Thanks! Amul R. Thapar of Kentucky confirmed by the Senate by Yea-Nay Vote. 52 - 44 to be United States Circuit Judge for the Sixth Circuit. John Kenneth Bush of Kentucky confirmed by the Senate by Yea-Nay Vote. 51 - 47 to be United States Circuit Judge for the Sixth Circuit. Kevin Christopher Newsom of Alabama confirmed by the Senate by Yea-Nay Vote. 66 - 31 to be United States Circuit Judge for the Eleventh Circuit. Ralph R. Erickson of North Dakota confirmed by the Senate by Yea-Nay Vote. 95 - 1 to be United States Circuit Judge for the Eighth Circuit. Amy Coney Barrett of Indiana confirmed by the Senate by Yea-Nay Vote. 55 - 43 to be United States Circuit Judge for the Seventh Circuit. Joan Louise Larsen of Michigan Confirmed by the Senate by Yea-Nay Vote. 60 - 38 to be United States Circuit Judge for the Sixth Circuit. Allison H. Eid of Colorado confirmed by the Senate by Yea-Nay Vote 56 - 41 to be United States Circuit Judge for the Tenth Circuit. Stephanos Bibas of Pennsylvania confirmed by the Senate by Yea-Nay Vote. 53 - 43 to be United States Circuit Judge for the Third Circuit. to be United States Circuit Judge for the District of Columbia. 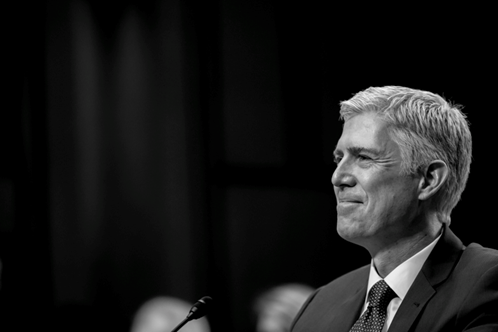 Leonard Steven Grasz of Nebraska confirmed by the Senate by Yea-Nay Vote 50-48 to be United States Circuit Judge for the Eighth Circuit. Don R. Willett of Texas confirmed by the Senate by Yea-Nay Vote 50-47 to be a Circuit Judge for the Fifth Circuit. Tags: On Judges, Year Of Extraordinary Accomplishment To share or post to your site, click on "Post Link". Please mention / link to the ARRA News Service and "Like" Facebook Page - Thanks!